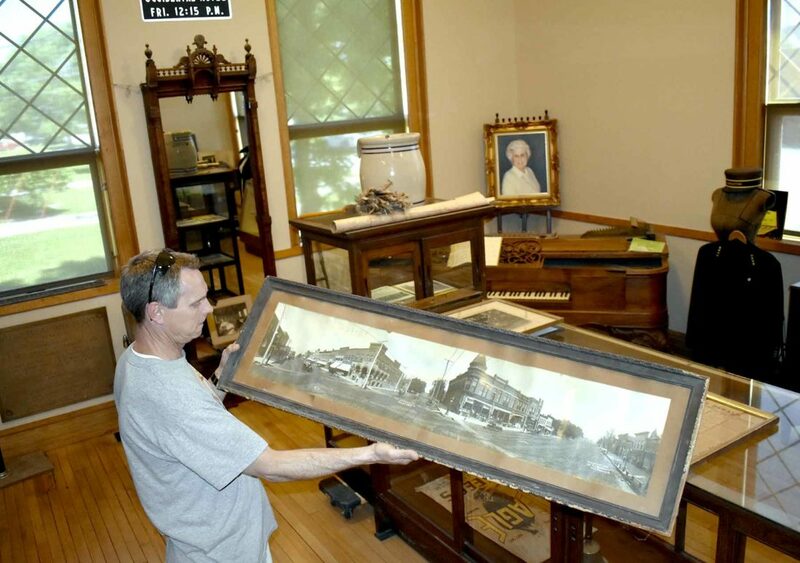 -Messenger photo by Chad Thompson Ron Mohr, president of the Eagle Grove Museum board, holds a framed picture of downtown Eagle Grove from 1907 at the museum recently. 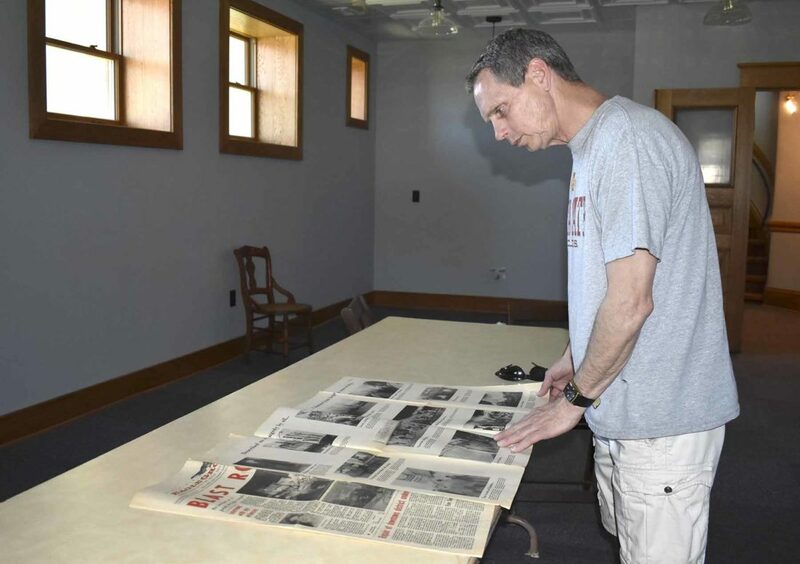 -Messenger photo by Chad Thompson Ron Mohr, president of the Eagle Grove Museum board, looks over a New York Herald newspaper from April 16, 1865, the day after President Abraham Lincoln was assassinated. The late Robert Blue, a former governor of Iowa and Eagle Grove native, donated the paper to the museum. -Messenger photo by Chad Thompson Ron Mohr, president of the Eagle Grove Museum board, remembers the 1973 explosion in Eagle Grove that killed 14 people. The event, known as “Black Friday,” occurred on Feb. 2 near South Commercial and Broadway. According to Mohr, it was reported that the blast could be heard from 30 miles away. 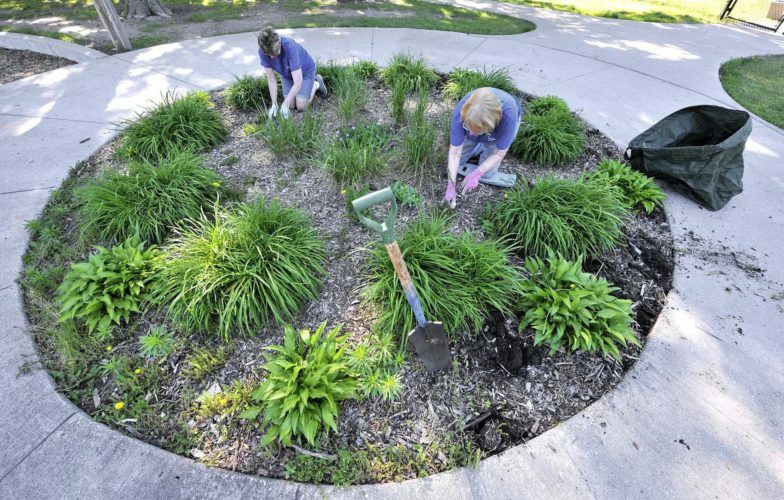 EAGLE GROVE — A lot has changed in Eagle Grove since Ron Mohr used to ride his bicycle around the town in the late 1960s. The bottles containing the beverages were different, too. His family moved to Eagle Grove in 1965. 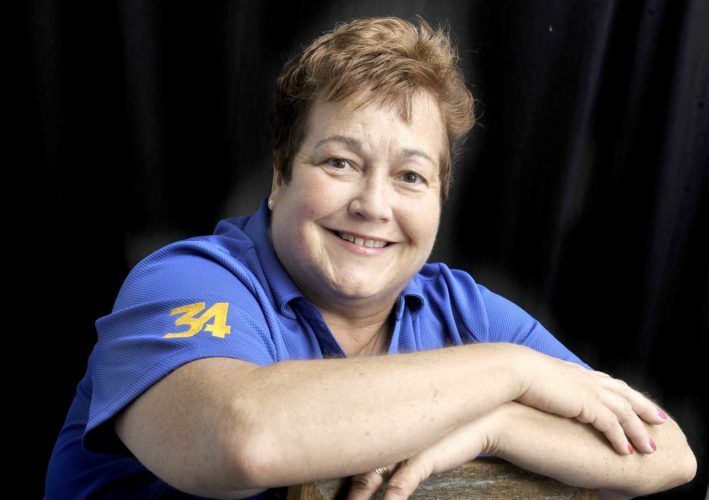 Mohr, a 1979 Eagle Grove High School graduate, recalled spending pennies on candy and other treats after getting some chore money. The number of stores to spend those pennies in has decreased since then. As president of the Eagle Grove Museum board, part of Mohr’s volunteer work has been documenting the town’s history. -Messenger photo by Chad Thompson Ron Mohr, president of the Eagle Grove Museum board, remembers the 1973 explosion in Eagle Grove that killed 14 people. The event, known as "Black Friday," occurred on Feb. 2 near South Commercial and Broadway. According to Mohr, it was reported that the blast could be heard from 30 miles away. He organizes artifacts and does some record-keeping. Some of his recent research has included counting all of the businesses in Eagle Grove in past years. “I map out every business around Eagle Grove,” he said. According to Mohr, in 1956, Eagle Grove was home to 64 businesses on its main street, Broadway Street. 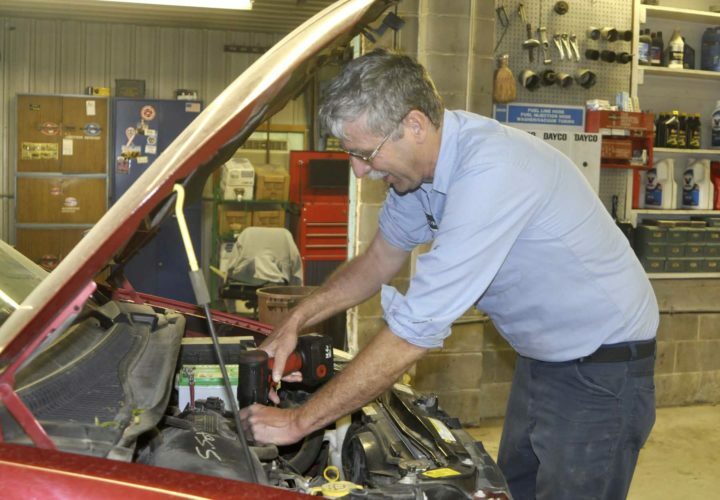 “It’s sad to say we have lost some businesses in the past few years,” he said. As a child, Mohr remembers five or six grocery stores in town. Today, Fareway Grocery is the only one. Mohr works as an employee at the store. Gas stations were also more prevalent. 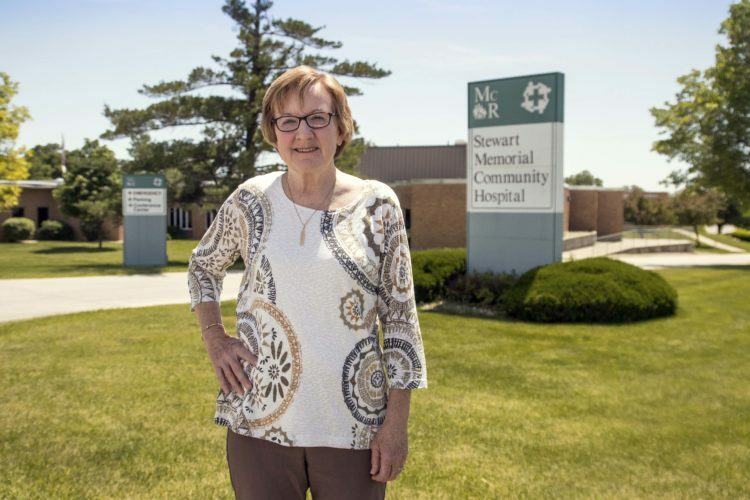 Still, Mohr loves Eagle Grove and hopes that incoming businesses like Prestage Foods of Iowa can help breathe new life into the town. At the museum, Mohr enjoys telling about Eagle Grove’s past. “I wouldn’t live anywhere else,” he added. The museum has sections dedicated to the railroad, its schools and its local veterans. Eagle Grove was founded in 1881. Shortly after, the railroads came, according to Mohr. “In its heyday, Eagle Grove had 20 passenger trains coming through town,” he said. The last time a passenger train traveled into Eagle Grove, according to Mohr, was 1954. As a kid, Mohr remembers making a fort inside one of the old train depots. “Those are all gone now,” he said. Mohr often made whistles out of flat metal straps found in boxcars. “We would bend those and make whistles out of them,” Mohr said. His favorite section inside the museum is the area dedicated to Eagle Grove veterans. One particular item he treasures is a framed picture of all veterans from Eagle Grove who were killed in action while serving the United States. 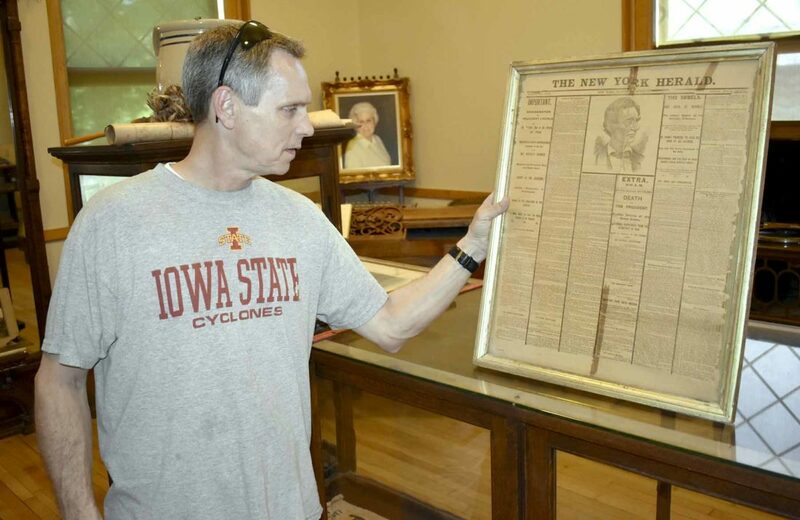 A newspaper from when Abraham Lincoln was assassinated is another relic inside the museum. It was gifted to the museum by former Iowa governor, and Eagle Grove native, Robert Blue. Blue served as governor of Iowa from 1945 to 1949. Mohr said the governor actually babysat him a few times. “I got a couple spankings from him and that’s a true story,” he said. Being in the same building as some of the Eagle Grove greats carries special meaning for Mohr. Mohr’s hobbies outside of the museum include arrowhead hunting, hiking, and “collecting old stuff,” as he put it. 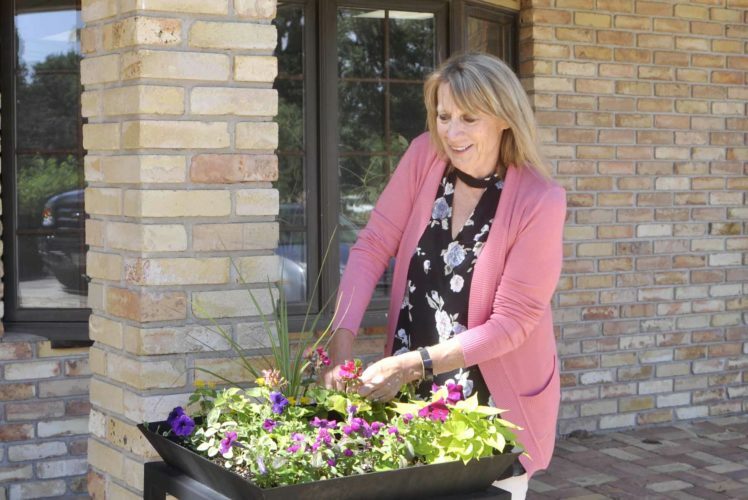 In previous years, Mohr has been involved with Eagle Grove’s downtown committee and Jaycees. 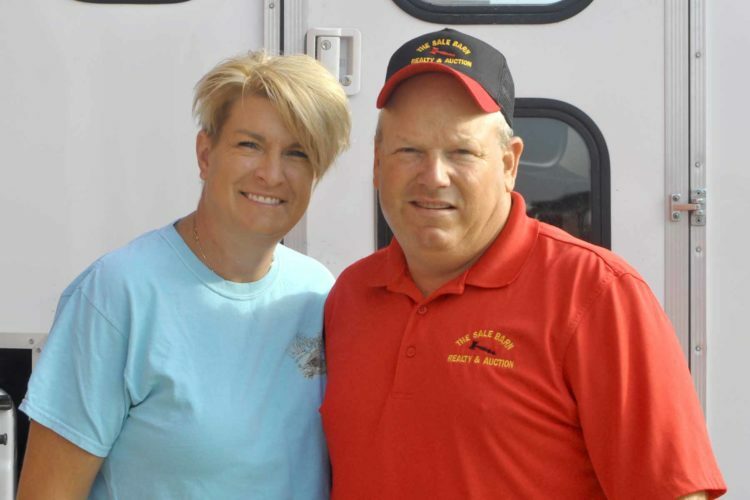 He has also co-chaired the Wright County Relay for Life. Throughout the summer, Mohr plans to continue tours of the Eagle Grove Museum and will also do a walking tour of Eagle Grove’s main street.